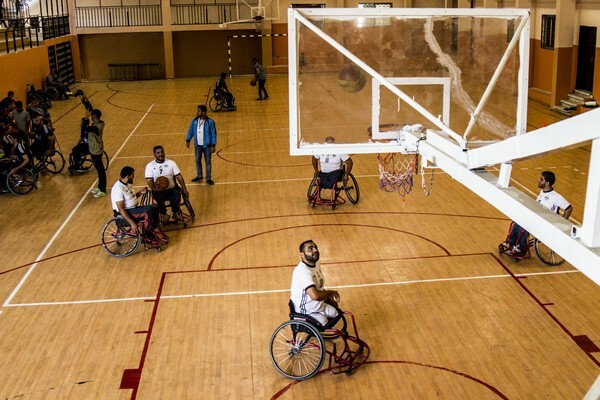 In Gaza, at the invitation of the International Committee of the Red Cross (ICRC), Jess Markt, an American who began playing wheelchair basketball when he was 19 after suffering a spinal cord injury, oversaw the training of 115 male and female players over the course of three weeks in May 2016. Players from Al Basma and Al Salam Clubs go at it during a friendly match on May 23, 2016, using skills they learnt during the training. 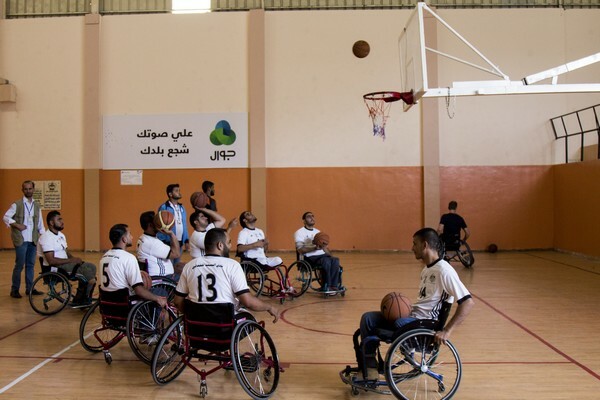 Together with the Palestinian Paralympic Committee, the municipality of Gaza and the Union of Wheelchair Basketball, the ICRC promotes the inclusion of people with disabilities in all aspects of life in Gaza in support of their universal right of integration in the political, social, economic and cultural life of the area. During the training on May 23, the participants were coached on the basic rules of the sport and the subtle skills designed for people with special needs. Players prepare during a jump ball. US coach Jess Markt led a basketball clinic for Palestinian men in Gaza City on May 23. 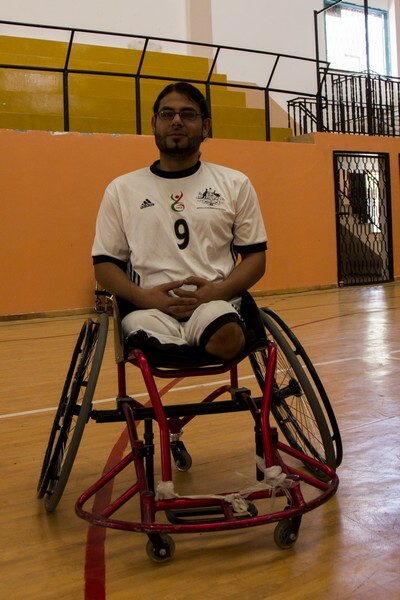 Ibrahim Alkaseeh, 30, a player from Al Basma Club, started playing wheelchair basketball a year ago. He lost his limbs in 2009 while he was farming his land in Beit Lahia, a city in the North of the Gaza Strip. He received artificial limbs from the ICRC-supported Artificial Limbs and Polio Centre (ALPC) in Gaza city. Eisa Ghalia, 24, lost his limbs in 2008. He has played with Al Basma Club for a year, but he is also a member of the Palestine’s Athletes team. He represented the occupied Palestinian territory at the Beijing Paralympic Athletics in 2012. Emad Alkaseeh, 24, a player of Al Basma Club, takes a two point shot. 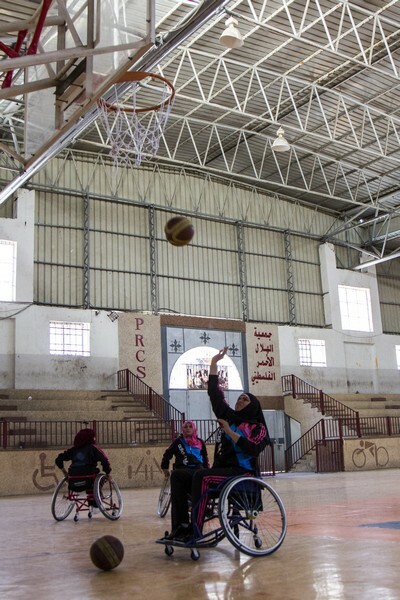 A Palestinian woman takes a shot during a wheelchair basketball clinic led by US coach Jess Markt in Khan Younis in the southern Gaza strip on May 28, 2016. 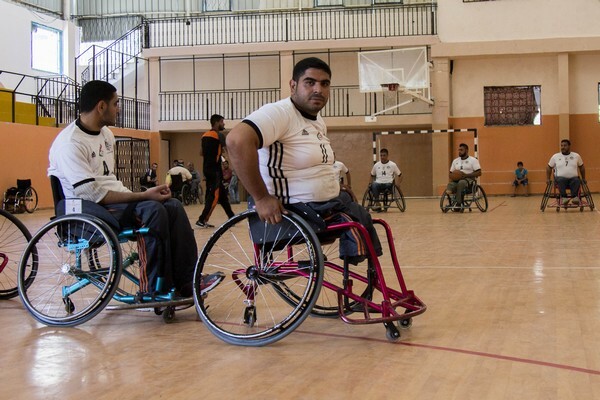 The ICRC has provided 70 wheelchairs to eight teams in 2016. More than 75,000 Gazans out of a population of 1.9 million have been registered as people with disability. 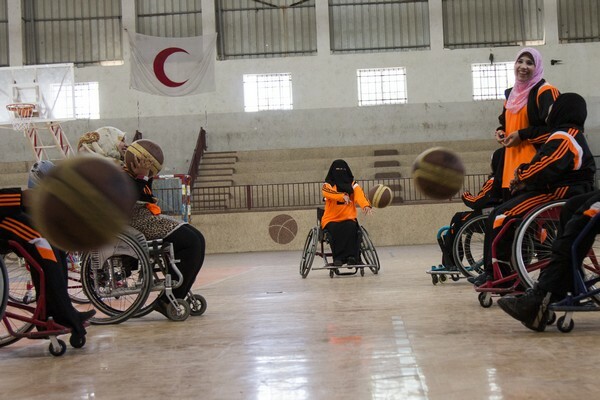 Female players from Al Salam Club learn the fundamentals of wheelchair basketball passing during a training in Khan Younis in the southern Gaza strip on May 28, 2016. 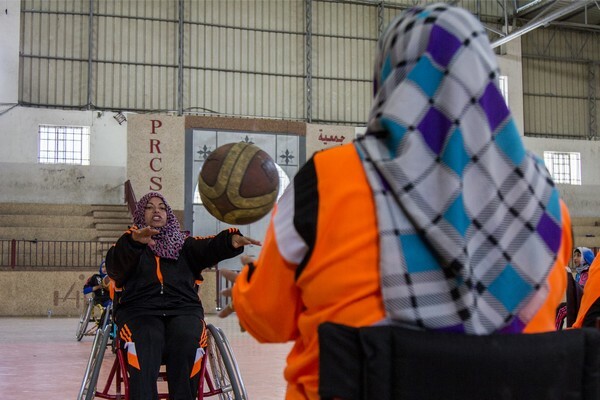 “I try to ignore people’s negative looks toward the disabled, but I know there’s still a long way to go before we are completely integrated in society,” a woman from the Palestine Red Crescent Society (PRCS) team said. “There is the social pressure that sometimes says women shouldn’t play sports,” Markt said. Wessal Abu Alyan, a 40-year-old mother of four, said playing helped her “feel free and strong”. According to wheelchair basketball coach, Jess Markt, sports can be a therapeutic tool that can accelerate the rehabilitation process after one suffers a life-altering injury. A group of female players exchange passes during a training in Khan Younis in the southern Gaza strip on May 28, 2016. 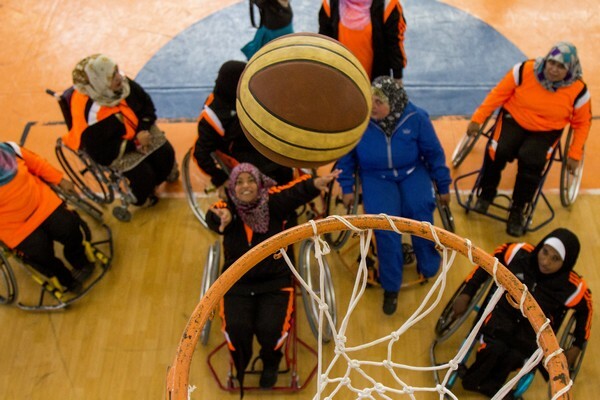 They are part the soon-to-be-formed Paralympic women’s basketball team in the Gaza Strip. Samar Shurrab, a player from the PRCS Club, talks to her daughter, Mona (5 years) during a training. Samar is married and has four children. She has an artificial limb in her left leg. 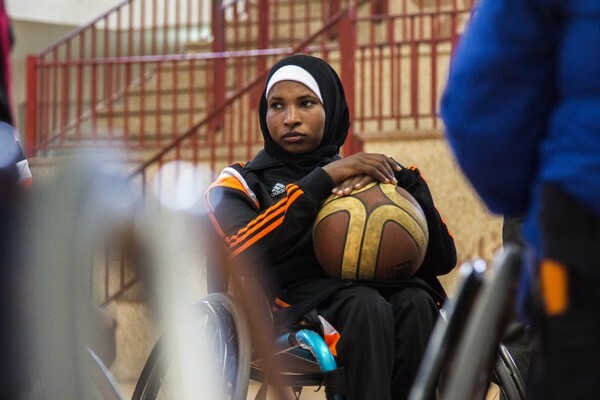 She practises wheelchair basketball and javelin for persons with disabilities. 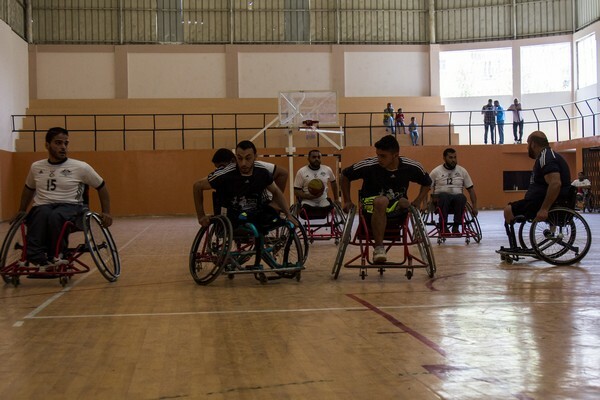 “Society is doing a better job of integrating the disabled, especially because nearly every household is touched by a disabled person,” said Fadi Dib, a 32-year-old coach for the Red Crescent Paralympic team, in Khan Yunis, southern Gaza. 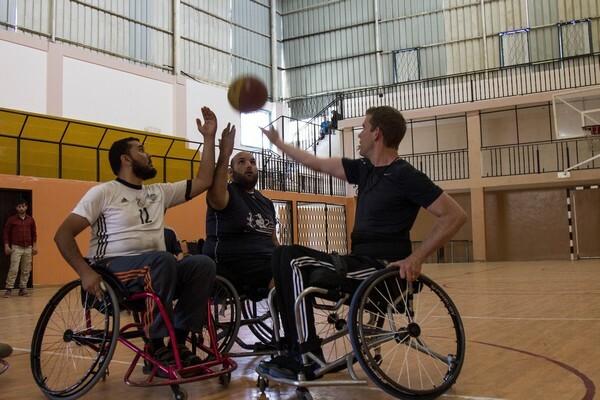 Jess Markt, a 40-year-old coach from the US, visited Gaza for the second year in a row to train wheelchair basketball teams. 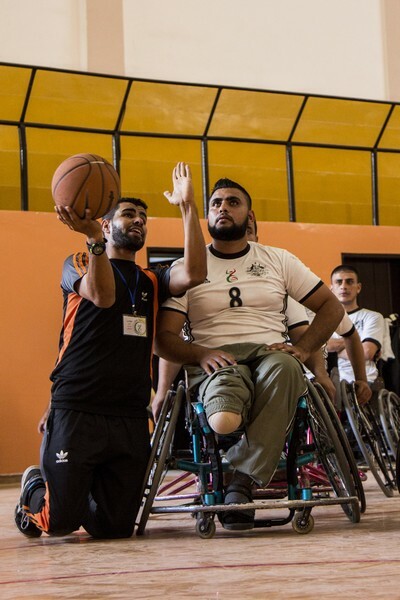 “Playing basketball on a daily basis will make Gaza’s disabled feel better, and it will certainly improve sore and weak muscles,” Markt said. Jess has been coaching wheelchair basketball since 2009, and has trained players, coaches, and classifiers in Afghanistan, India, occupied Palestinian territory, and Cambodia.